Vertical timeline is so far one of the most popular resources on CodyHouse. Many people have asked them to include a Horizontal Timeline as well. Here it is! 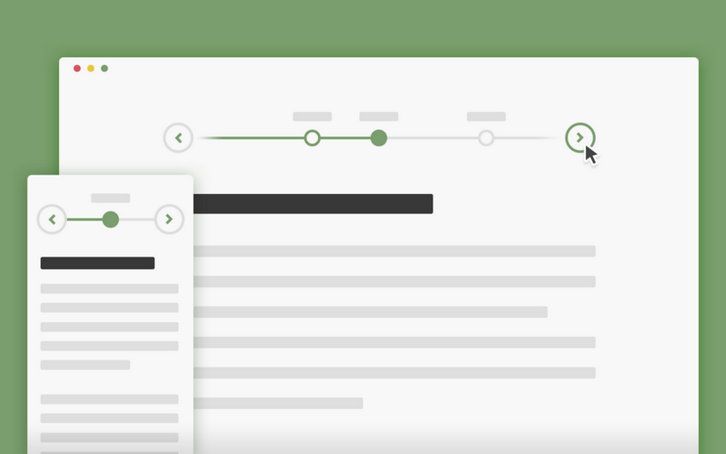 Building a horizontal timeline was a bit tricky, because you can’t rely on the vertical (more intuitive) scrolling behaviour. They decided to separate timeline and events, with the first one working like a slider, while the second one occupying the full width and showing a single event at a time. About the timeline: the position of each date along the timeline is set using jQuery. Dates are not equally distributed along the timeline, but the distance between a date and the next one is proportional to the difference between these dates.